One HOT morning this summer, we meandered outside for a bit before the temperatures got too hot to even be outdoors. 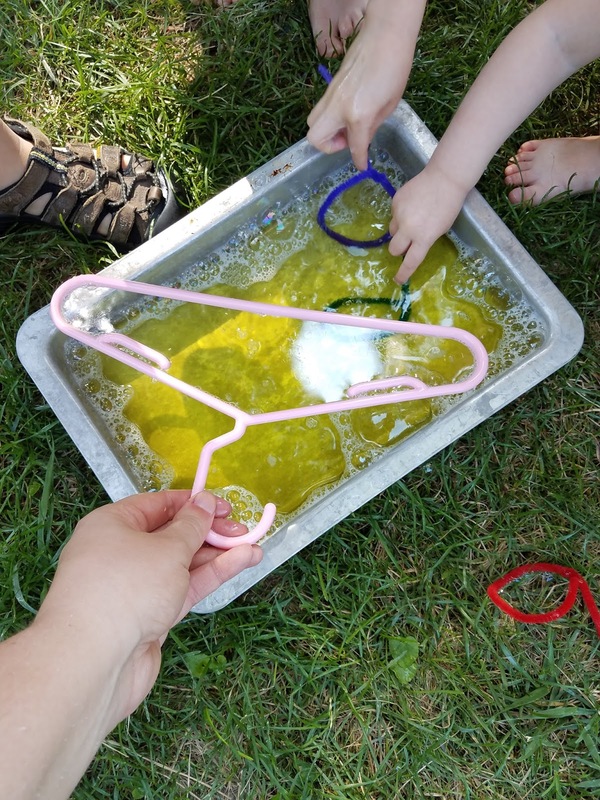 I had wanted to do a giant bubble pool like we'd done in the past, but I wanted a simple to clean up activity that we wouldn't be cleaning up at the hottest point of the day. 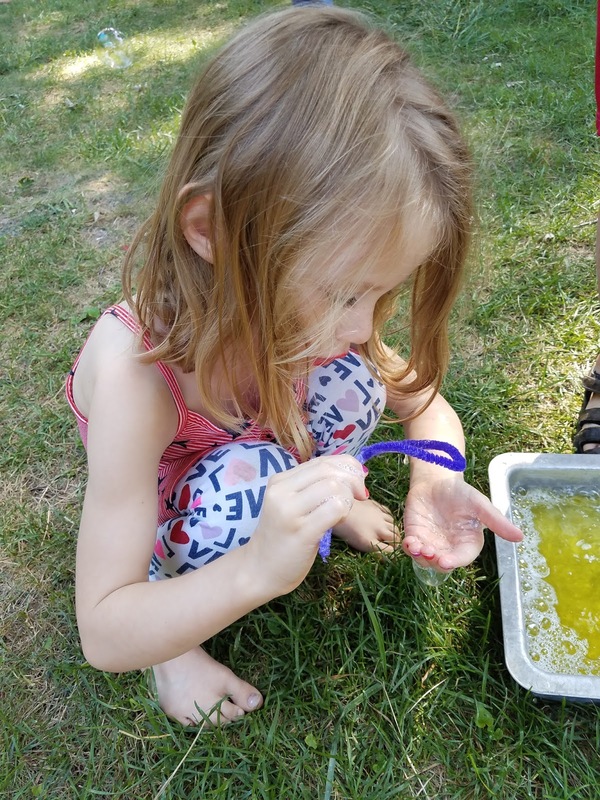 This activity also needed to be fun. 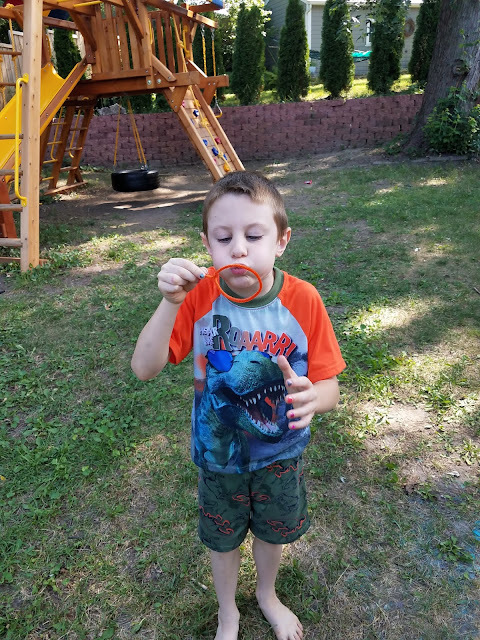 I decided to stick with the bubble idea and make homemade bubbles for the kids.....and blowing them with items found around the house! 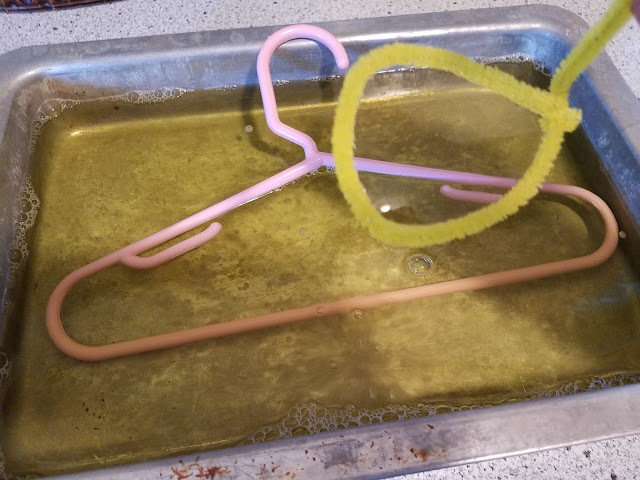 I used this bubble recipe and put it in a pan (my most easily washed pan). 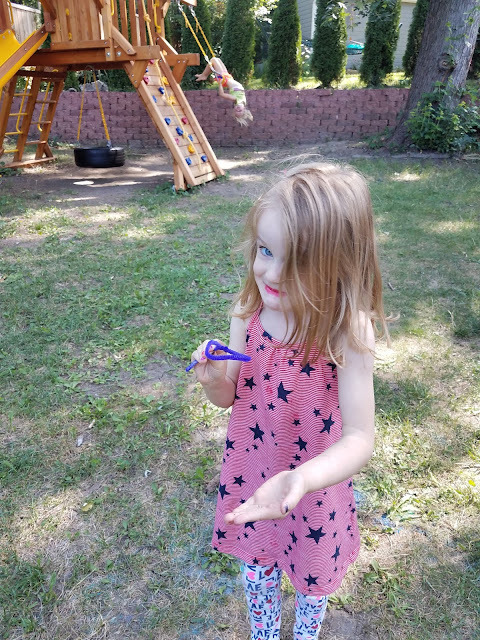 Then I had the kids find items. 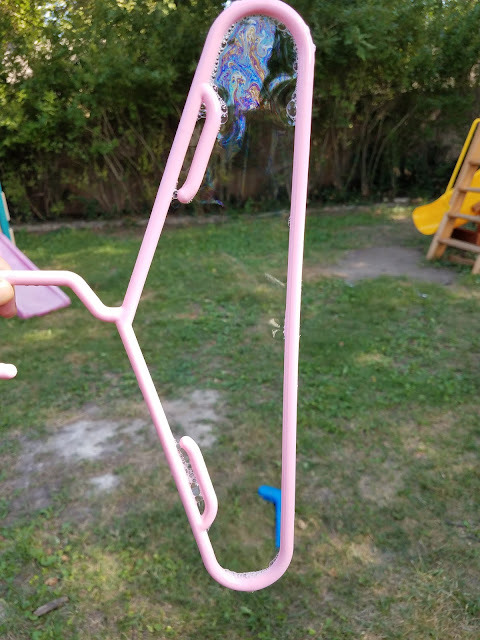 The most popular items were pipe cleaners (that I helped them shape), baby hangers (that I still have sitting around, despite my youngest being five), a tied shoe lace, and Magformers. All interesting choices. 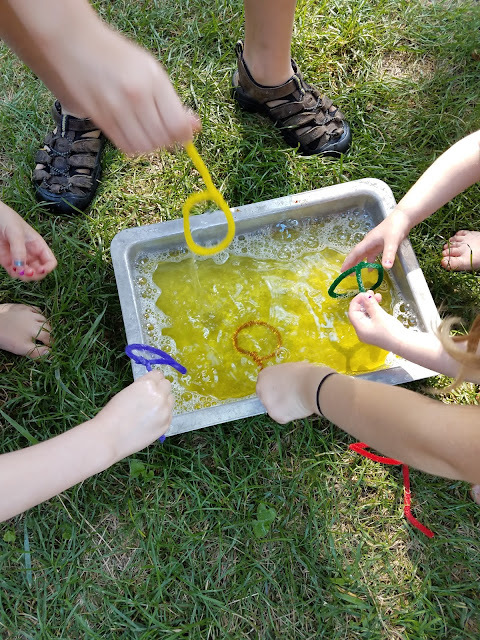 Sadly, several kids didn't last long for this activity because it was either too hot outside for them or they didn't like the stickiness of the bubble mixture (it does have corn syrup in it). I, on the other hand, LOVED this activity. I enjoyed seeing the kids use their creative thinking skills about what objects to use and experimenting with which ones worked the best (or didn't work at all). We'll bring the giant bubble pool back next summer, but I definitely plan to add in this creative element as well.